If workers vote to join a union at Volkswagen's Tennessee plant this week, they'll be changing America's labor relations for the better - Harold Meyerson. (Voting started yesterday, Feb. 12, and continues through tomorrow, Feb. 15) Lane Windham looks at past labor and UAW organizing efforts in the south. This week - from Wednesday through Friday - employees at Volkswagen's factory in Chattanooga, Tennessee may well make history. Actually, they may make it twice. If a majority of the roughly 1,500 workers vote to recognize the United Auto Workers as their union, their plant will become the first unionized auto factory in the South. It will also become the first American workplace of any kind to have a works council - a consultative body of employees who regularly meet with management to jointly develop policy on such work-related issues as shifts, the best way to use new machinery, and kindred concerns. Mandated by law in Germany, works councils do not bargain over wages and benefits, but they do provide a way in which workers can have input into policies that affect their lives. They also have led to countless productivity increases in German manufacturing. The vote at Volkswagen marks the latest stage in the UAW's decades-long campaign to organize auto plants in the South. In recent decades, a host of foreign carmakers - not just Volkswagen but BMW, Nissan, Toyota, and others - have built factories in the right-to-work states of the old Confederacy. For these companies, going South was a two-fer - it enabled them to produce for the American market on American soil, and it ensured that the prospects of unionizing their workers were slim. The increasing numbers of lower-wage autoworkers eventually took a toll on the wages of unionized workers as well. To stay competitive, the Detroit Three (GM, Ford, and Chrysler) insisted that new hires receive lower pay - no matter how long they worked at the company - than veteran hire, and as the companies' market share declined, the UAW felt compelled to take the deal. (Now that the Detroit Three have returned to profitability, the union is demanding the companies lift that ceiling.) Auto workers' incomes tanked. As Steven Rattner, the former head of the Obama Administration's 2009 task force that restructured GM and Chrysler, has written, wages for all American auto workers have declined by 11 percent since the recovery began in 2009. For the UAW, organizing the non-union plants in the South understandably became a matter of life or death. With its membership reduced to about 400,000 from a 1979 peak of 1.5 million (and with many of those 400,000 not even working in the auto industry), the UAW began to execute a turnaround in 2010 by electing longtime union officer Bob King as its president. Since he took the union's helm, King has waged a smart and tenacious campaign to bring the union to Dixie. King, and his predecessors as UAW president, realized how completely out-of-sync the labor practices of German and Japanese corporations in the South were with their labor practices in their respective homelands. All these companies' plants were unionized at home, and management there had never opposed unions' right to represent their workers. Japanese manufacturers had historically offered their employees lifetime guarantees of employment - something they never even mentioned when they opened up shop in the South. The German manufacturers not only consulted with their employees in their works councils, but by law were required to divide their corporate boards evenly between management and worker representatives (though the CEO from the management side could break tie votes). When German and Japanese automakers opened plants in Alabama, Mississippi, South Carolina, and Tennessee, however, they went native. Their managers ferociously opposed workers' attempts to form unions in the time-honored manner of good-ol'-boy Southern bosses. Workers involved in organizing campaigns were illegally fired, unions were (legally) denied access to workers when they were at the plant and to their addresses so that they'd be harder to locate in their homes. Management practices that would be scandalous in Germany and Japan were everyday occurrences in the companies' American factories. For years, German management resisted any change. 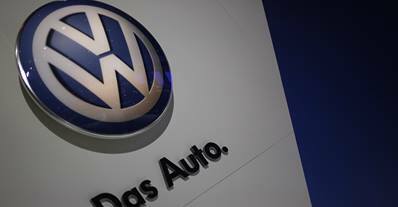 Over the past two years, however, Volkswagen has moved to a stance of welcoming a union presence. That may be because Volkswagen operates under a somewhat different statutory arrangement than the other German companies. Because it was a company created by the Nazis, the West German government, with the backing of the U.S. and as part of its de-Nazification program, mandated that all major corporate decisions would require a two-thirds vote of the company's board - effectively giving IG Metall veto power over company policies. For the past year, Volkswagen has been telling its Chattanooga workers that it wanted the plant to have a works council. Volkswagen has established such councils not just at its German plants but at every one of its 106 factories worldwide, with just three exceptions - its two plants in China and its one plant in the U.S. (Ponder, for a moment, what that says about workers' rights in the U.S. and China, as distinct from workers' rights in the dozens of other nations where Volkswagen makes cars.) Volkswagen is one of a growing number of European-based corporations that have global works councils, with representatives from all their factories meeting with top corporate executives. Volkswagen's policy-setting council, accordingly, has representatives from everywhere except the U.S. and China. The argument for establishing works councils is that they help workers assert their interests, management get feedback it wouldn't otherwise get, and companies create practices that are agreed to by both management and labor and that therefore boost productivity. Three years ago, when I was touring a small transportation equipment factory in the German state of Saxony-Anhalt, I asked the plant manager for his take on the plant's works council. A couple of weeks earlier, he answered, the plant suddenly had to add a Saturday shift to complete a rush order. His managers told him that everything had run smoothly. At the next meeting of the works council, however, the workers told him that the day's work had been chaotic; that there had been no planning for turning out such an order on a Saturday. Managers and workers then developed plans for any subsequent such rush jobs. In sum, he said, he found the works council very helpful in getting the plant to run successfully - and even happily. In the U.S., bodies such as works councils are prohibited by the National Labor Relations Act unless the workers have a union. That's because when the NLRA was drafted in 1935, the nation was only half-a-decade removed from the company-dominated unions of the 1920s, in which workers were enrolled in organizations - much like those in China today - which were labeled unions but which management controlled. The NLRA was drafted to prohibit this from happening henceforth, and most labor-management bodies that had effect over things like work rules were put off limits unless the worker representatives were chosen democratically by the workers themselves - that is, by the workers forming unions and electing their union reps.
Once Volkswagen went on record as desiring a works council in Chattanooga, then, U.S. law stipulated that only by voting in a union could its workers form such a council. The UAW circulated affiliation cards among the plant's workers, and a majority of its workers signed them. Critics of unionization - not, for once, company management, but such leading Tennessee Republicans such as Senators Lamar Alexander and Bob Corker and Governor Bill Haslam, and such institutional union opponents as the National Right to Work Committee - insisted that card-check wasn't sufficient, and the workers will vote in a National Labor Relations Board-supervised election later this week. In the past couple weeks, the Right-to-Work Committee and the state's Republican leaders have repeatedly told workers that a calamity just short of Armageddon awaits if they certify the union and establish a works council. The Republicans' and the Right-to-Work Committee's fears are understandable. For decades, the Southern economy has grown chiefly because it's been a cheap-labor alternative to the Northeast, Midwest, and West Coast. As American and then foreign companies began their wholesale relocations of plants and businesses to the South in the 1970s, American workers' wages began to stagnate. Eventually, enough of American business had gone South to bring down incomes in the North - a process that has greatly accelerated since the financial panic of 2008. Indeed, from 2008 to 2011, the hourly wage gap between Midwestern and Southern worker shrank from $7 to $3.34. If unions get a foothold in the South, Americans' wages might just start leveling up instead of down. What's more, if unions grow in the South - a region where the union share of the workforce is scarcely more than 5 percent - then the Southern states might see their political balance of power altered. Southern states might start enrolling their voluminous numbers of the poor in programs like Medicaid and passing minimum-wage statutes of their own. And if the UAW wins in Chattanooga, the United States will be able to see how a works council - one of the institutions that's been key to Germany's enduring economic successes - works on American soil. That's what's riding on this week's vote. Starting in the 1970s, the UAW repeatedly tried to organize auto workers in the South and in neighboring states like Oklahoma. All eyes are on Chattanooga, Tenn. as 1,500 Volkswagen workers file into voting booths this week to determine whether they will be represented by the United Auto Workers. Unlike most U.S.-based employers, Volkswagen has remained neutral on the question of unionization, in part hoping that its workers could then legally form a works council like other VW workers around the world. Tennessee Gov. Bill Haslam (R) and U.S. Senator Bob Corker (R-Tenn.) are trying to convince the workers to vote no, and some local elected officials are now threatening to yank VW's tax subsidies for a plant expansion if the workers go union. Meanwhile, anti-tax crusader Grover Norquist put up 13 billboards and ran TV ads against the union. Clearly, American businesses and their elected supporters only like globalization when it works in their favor. Reporters have gotten one thing wrong about this vote. If the VW workers vote "yes," theirs won't be a first unionization win for Southern auto workers. The issues around neutrality, local opposition and auto workers' union rights have played out in the South before. Starting in the 1970s, General Motors began to build most of its new assembly and parts plants in the South, opening 11 new plants below the Mason-Dixon line by 1978. When workers at three of the plants tried to organize a union with the UAW in Clinton, Miss. and Fitzgerald, Ga. in 1974 and 1975, the company responded with anti-union leaflets, meetings and threats. However, the UAW had great power within GM at that time as it represented the vast majority of its 450,000 U.S. hourly workers. It used a "mini-strike" to force GM to agree to a neutrality agreement in 1976 national contract negotiations. The next five years were tense ones as the UAW repeatedly tried to organize in the South, and the local management often ignored the company's official neutrality policy. At Guide Lamp near Monroe, La., workers voted 323-280 in favor of the union in late 1976, despite what UAW supporters described as company efforts to screen out pro-union workers in the hiring and training process. Billboards popped up there, too. "Give Yourself a Christmas Present -- Vote No on Dec 22" read roadside signs put up by the Louisiana Association of Business and Industry, a group that had spearheaded a successful "right-to-work" drive. When workers got their first union contract, their wage increase was more than $80 a week, not small potatoes in 1977. But the UAW was not able to get traction at any of the other parts plants in the South. As GM built a major assembly plant in Oklahoma City, the union was particularly worried that the softness of the neutrality agreement would hurt its chances there. It turned out that the Oklahoma City vote was scheduled a mere two days after the start of 1979 GM/UAW negotiations. Industry analysts expected UAW to pick GM as the lead for the Big Three pattern bargaining that year, and they expected a strike. Meanwhile, the Carter administration knew that the negotiations had the potential to wreck what was left of its wage and price guidelines with which it was vainly trying to address inflation. The UAW threw down the gauntlet. President Doug Fraser went through the ritual hand shake and opening meeting, but then walked out of negotiations until GM agreed to send top officials to Oklahoma City to investigate charges that managers had handed out anti-union T-shirts and leaflets. The gamble worked, and Oklahoma City workers voted 1,479 to 658 for the union. Workers at GM's Delco Electronics followed suit in Shreveport, La. in early 1979. However, the UAW was never able to get real traction in the Southern auto plants. Workers voted against the union three times at a steering-gear plant in Saginaw, Ala., in 1981, for instance. Many analysts pointed to the loss as evidence of Southern workers' resistance to the union. Yet the National Labor Relations Board overthrew the first two elections in Saginaw, because it found that GM officials were supporting a workers' anti-union committee in the first, and because it found evidence that someone had forged a union organizers' name on a KKK membership card in the second. Here, too, a local business group opposed the union, and pointed to its own role in securing nearly $300,000 in tax breaks for GM. Clearly, these were not cases of neutrality at work. What's happening this week in Chattanooga brings into the sunlight the kind of pressures that U.S. workers have routinely endured behind the scenes en masse since the 1970s. Today, a full 57 percent of employers threaten to shut down if the workers voted for a union, and 34 percent illegally fire workers for union support, according to a Cornell University study by Kate Bronfenbrenner, who looked at 1,000 union elections over a five-year period. In Chattanooga, however, the company seems to be truly neutral on the question of unionization, at a level not reached by GM in the 1970s. That has left it to right-wing elected leaders and national-level campaigners like Norquist to run in the public eye the kind of anti-union pressure campaign that workers normally face quietly and alone. All eyes are on Chattanooga this week. As VW workers walk into the voting booths, they carry much history on their shoulders.